Has the 45th president of the United States got you feeling down, anxious or angry? All of the above? 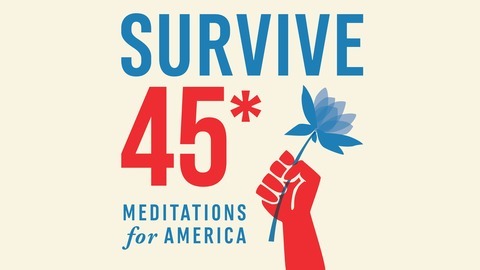 If so, then Survive 45*: Meditations for America is for you. 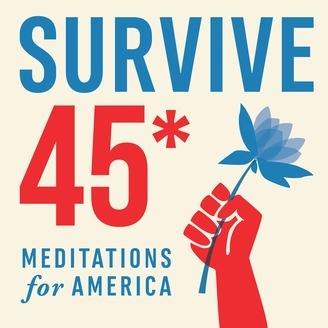 Written and hosted by Los Angeles-based meditation and yoga teacher, Eddie Marashian, each episode contains a spoken meditation for contemplation; a guided meditation for practice; and an acoustic song. These meditations are easy enough that anyone can follow and powerful enough that everyone can benefit. 1) The spoken meditation offers encouragement on how to approach the new year. 2) The practice meditation teaches the art of “Compassionate Abiding” or how to tolerate life’s challenges with an open heart. 3) The song this week is called “The Hanuman Chalisa.” It is a traditional devotional hymn from 16th century India, that help us to awaken our inner strength. Enjoy! Please don’t forget to subscribe and leave a rating or a review. And tell your friends! Together we can survive 45. Episode 1 : Breathe. Just Breathe.